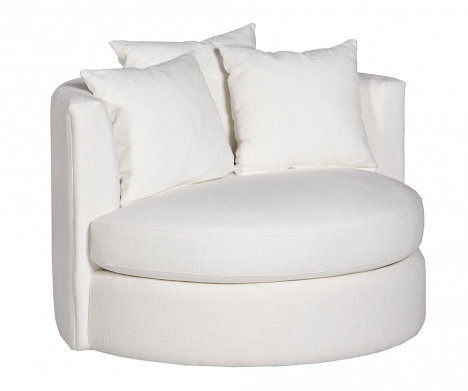 Enjoy the spacious yet cozy seating that this roundabout swivel chair will bring to your living room. 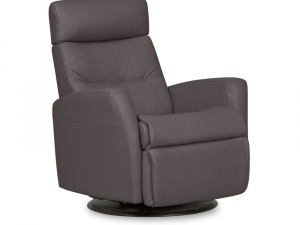 With a base that allows you to easily change your focus and rotate from conversation to conversation, the chair features a modern design that’s perfect for contemporary homes like yours. Showroom sample upholstered in a soft Memphis Ivory Fabric. 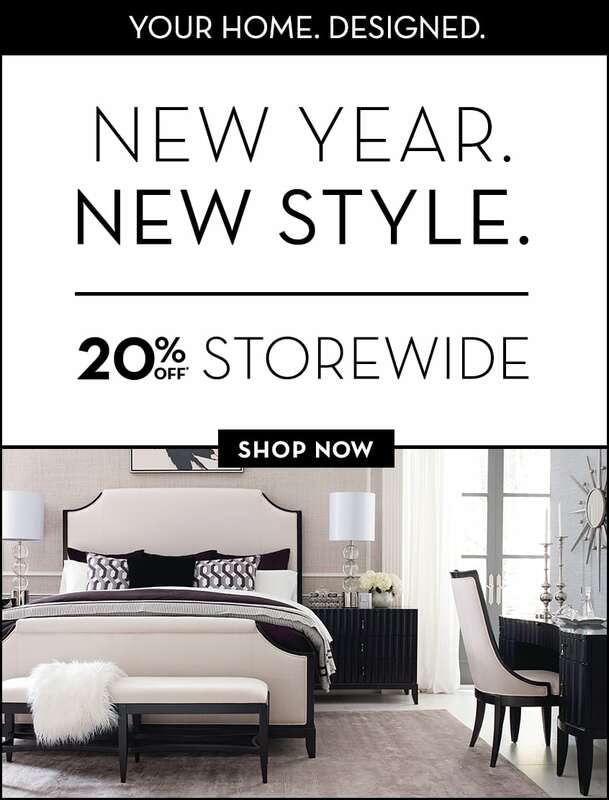 Includes 3 toss pillows in matching body fabric. Available in alternate fabrics and colours at select prices. 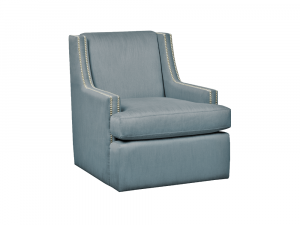 Contemporary design meets mid-century modern style in this luxurious lounge chair. 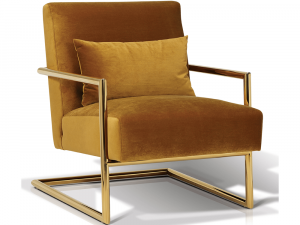 Featuring a lightweight, brass-coloured cantilever style frame, this chair is constructed from titanized stainless steel and complemented by a velour mustard seat cover. 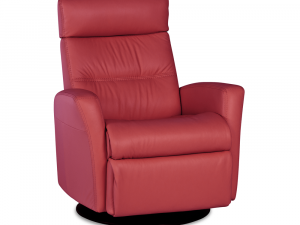 The chair has an over-stuffed seat and back, offering a place you can really sink into and enjoy. 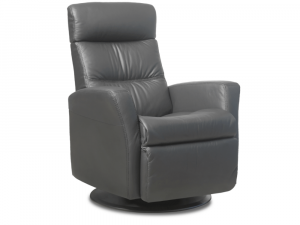 An elegant upholstered swivel chair with polished appeal. Features hardwood construction, luscious mineral glow fabric over bioplush foam cushioning, accented by stunning pewter nail-head detailing. Available to order in alternate fabrics as a part of our Gallery Program.